Home > Brands > Peanut Butter Cups > Giant Peanut Butter Cups - 24 ct.
Rich milk chocolate with creamy peanut butter might be the world’s greatest combination, and at Boyer Candy we do it exceptionally well. 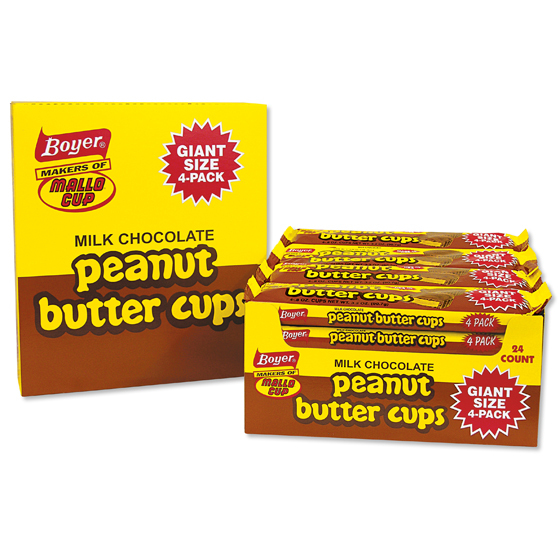 These giant Boyer Peanut Butter Cups are a fan favorite, and perfect to satisfy any sweet tooth. It doesn’t get much better than this American made candy.